Harri Louhensuo Blues Station PDF + Mp3 CD download. 24 Etudes for electric guitar. Actually it’s not a guitar tutorial, but the author begins with primitive examples and note by note develops progression, creates the base for developing solo. And further develops the theme by introducing a variety of technical and musical techniques. This book is in Finnish so if you don’t know this language, just see the notes. Don’t miss a chance. 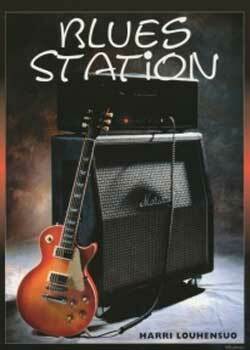 Download Harri Louhensuo – Blues Station PDF free and other books from our site. Only high quality PDF scans. Please write a review, it's important for our community. Come on! Get this hot bluesy things!